It’s Wednesday, in case you hadn’t noticed, and on this particular Wednesday, the countdown to the ESC 2015 submission deadline is on! In less than one week, all forty participating countries must have their s#%t together – at least to the point of handing their entries over at the Head of Delegations meeting. Did you hear that, Russia? If you don’t want a repeat of last year when you made the deadline by a babushki’s whisker, you’d better get Polina Gagarina’s song sorted STAT. I for one am struggling, waiting to hear the songs still under wraps (Israel and San Marino are causing me actual, physical pain). In case you’re feeling the same way, I thought I’d offer a distraction in the form of something totally unrelated: another Retro Ranking! I recently ranked the Dublin 1997 contest for your reading pleasure (hopefully) and as I’m in a chronological mood today, I’m going to plod on with Birmingham 1998. The last time the United Kingdom played host to Eurovision, Terry Wogan was co-emcee, Ulrika Jonsson fell victim to the noise level in the auditorium and Dana International took her sweet time changing outfits and getting back to the stage for her winning reprise. 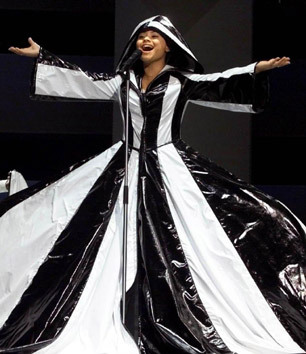 In amongst all of that were performances of 25 songs – songs that were, as is always the case in the ESC, good, bad and ugly (though being 1998, the ‘ugly’ really just refers to some of the costumes). Watch this recap of the Birmingham entries if you need a refresher, check out my rankings below, then comment me with your favourites from the Class of ’98! You know you want to. #1 | The Netherlands (Hemel En Aarde by Edsilia Rombley) – Before she was On Top of the World in Helsinki (until she failed to make the final, that is) Edsilia moved, grooved and flawlessly key-changed her way through this irresistibly catchy number in Birmingham. There is nothing that doesn’t work for me in her performance – 90s fashion notwithstanding – from her smooth and soulful vocals to the cute bits of choreography she does with her backing singers. Hemel En Aarde itself, though, is the pièce de résistance: three minutes of happy, funky pop that I could never get tired of. She may have had the same haircut as most of her competitors, but Edsilia was superior in every other respect. #2 | United Kingdom (Where Are You? by Imaani) – Ah, remember the days when the UK couldn’t stop being a Eurovision success? No? Me neither. I was six-going-on-seven and had no idea what an ESC was when Imaani leapfrogged over Chiara into second place (at the very last moment) on home soil. Fast forward to 2015, when just getting on the left side of the scoreboard is a major achievement for the UK, and I now not only know what an ESC is (and then some) I also think Where Are You? is one of the strongest host entries ever. While very 90s in nature, it’s aged pretty well. The mixture of dance music and Imaani’s R & B-suited voice is powerful, and I don’t mind that the song is repetitive because again, it’s catchier than chicken pox. #3 | Sweden (Kärleken Är by Jill Johnson) – I’ll admit, I thought this was a bit bland at first. But over time, I’ve grown to absolutely adore it, if I may gush without you rolling your eyes and/or retching. Written in response to the death of Princess Diana, it’s a song with emotional weight that you can feel especially in the choruses. It’s almost an anti-Diva, being so soft and understated, and I just wish Jill’s outfit had been chosen to match. The head-to-toe black and giant platform heels were more ‘castoffs from Alla Pugachova’s seemingly drunken performance at Eurovision 1997’ than ‘pretty, sentimental ballad’. In case anyone died during her performance, Jill went all black to ensure she could go straight to their funeral afterwards (I assume). #4 | France (Ou Aller by Marie Line) – This entry did not fare well in the contest, and I can only put that down to the voters and jurors having extremely poor taste in music. Or, you know, people just having different tastes to my own. Oui, Marie Line says ‘ou aller’ about six hundred times in 180 seconds, and oui, the song doesn’t build up to much…but I love the sound anyway. It’s a throwback to earlier on in the decade, and makes me think of Ultra Naté and Sonique. That in turn reminds me of my primary school socials, and they were good times. Très, très bien. #5 | Ireland (Is Always Over Now? By Dawn) – There’s not that much difference between this song and any number of the insipid love-related ballads Ireland sent to Eurovision in the 90s and early 2000s. Yet there is something about Ireland ’98 that appeals to me. Dawn isn’t a man with a questionable haircut and an ill-fitting suit, which sets her apart a bit (she’s a woman with both of those things) and Is Always Over Now? is more pop and less lame/depressing than most of those man-ballads. 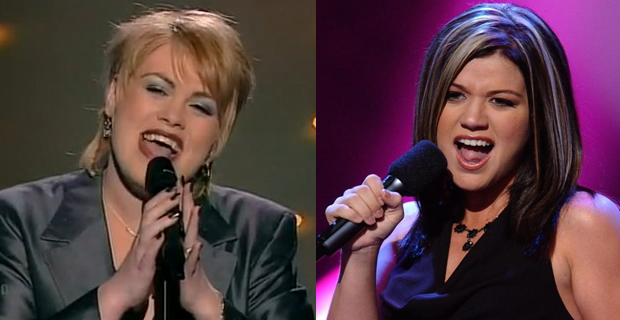 Random query: is it just me, or does Dawn look like Kelly Clarkson? Never mind…I just answered my own question. #7 | Estonia (Mere Lapsed by Koit Toome) – They did reasonably well with a sleepy ballad the year before, so I guess Estonia’s thinking here was ‘if it ain’t broke, don’t send a dance banger.’ Mere Lapsed could easily put you to sleep, which to some would be a blaring indicator of boringness. To me, it’s melodically nice enough to set up camp outside of vanilla territory. Cruisy, easy listening like this can be a welcome vacation from the Dancing Lasha Tumbais of the world. #9 | Malta (The One That I Love by Chiara) – Chiara reached the bronze medal position for Malta in her first of three Eurovision attempts (and don’t think she won’t be back for more!). She did so with what I think is her best entry…on those days where I’m not leaning towards Angel. It’s always her voice that’s the star of the show, so much so on this occasion that you hardly even notice how hideous her snot-coloured suit-dress-thing is until she’s stopped singing. #11 | Israel (Diva by Dana International) – I believe there were stronger songs – and definitely stronger vocal performances – in Birmingham than what Israel provided. Diva is a decent track and a high-energy winner, but I it’s worn thin with me over the years thanks to self-inflicted overexposure. Dana herself, however, is fabulous personified and will never be passé. The flamboyance of the feathers or this spangled silver number? No wonder Dana had a hard time deciding. #14 | Germany (Guildo Hat Euch Lieb by Guildo Horn) – Never trust anyone who voluntarily wears crushed velvet. If they’ll do that, they’ll do anything, including scale the Eurovision stage as part of their act. I suppose that’s just gravy on top of an already ridiculous package feat. a wild mane of hair, the world’s thickest eyebrows, and Guildo (owner of said mane and brows) getting up close and personal with some (un) lucky audience members. The man could barely be called a singer, but you have to admire his showman qualities. He got the crowd going like nobody else. #16 | Finland (Aava by Edea) – Instead of using the Secret Garden approach of taking a few words and repeating them twice, Finland took a few words and repeated them for more or less the entirety of their allotted three minutes. It didn’t do them many favours. Still, there’s appeal in the mystical, folky vibes of Aava. #18 | Spain (¿Qué Voy a Hacer Sin Ti? by Mikel Herzog) – ‘Mikel Herzog’ is clearly a stage name, because, unless I am much mistaken, this was Harry Potter representing Spain. It’s a shame Ron and Hermione didn’t help him pick out a more interesting song. #21 | Slovenia (Naj Bogovi Slišijo by Vili Resnik) – There were so many overly-dramatic ballads like this in 1990s contests, it’s hard for any in particular to stand out. This one’s not terrible, but it’s certainly not my cup of tea. #24 | Belgium (Dis Oui by Mélanie Cohl) – How on earth this made the top 10 is a mystery to me. I find it unbelievably irritating, in large part thanks to Mélanie’s grating vocals. You want me to say yes? I don’t think so. Quelle horreur! 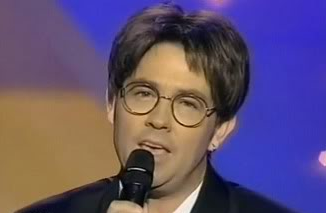 Now my #1 through #25 is out in the open, you know what to do…tell me how you’d rank Eurovision 1998! *Not literally…if you had one of those you wouldn’t need to be reading this post, which would be very, VERY bad. I also have to mention Without You by Re-union (2004), my second favourite. In the history of the semi-finals, it remains the only Dutch entry to have qualified, although it didn’t do too well in the final. Perhaps it was overshadowed by Germany’s rather similar-sounding song (which catered to the home audience by incorporating a little Turkish into its lyrics) or perhaps people just didn’t like it as much as I do. Silly, silly people. De Troubadour by Lenny Kuhr (1969). I don’t know if I just can’t connect with a lot of the music of Eurovision’s earlier years or if this is just a bad winner, but it makes me want to close my blinds, crawl into bed and sob into my pillow. That is until it gets to the ‘lalalala lala LAI la la LAI la la’ bit, at which point I emerge from under my bedding and start tearing my hair out. Een Beetje by Teddy Scholten (1959) – This is just cuteness! One of the few very early entries I enjoy listening to. Ding Dinge Dong by Teach-in (1975) – Here is one of the better onomatopoeically-titled songs from ESC history. It’s catchy, fun, and – I imagine – great for karaoke. 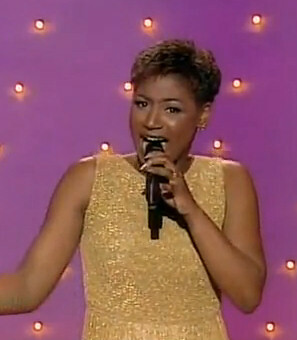 No Goodbyes by Linda Wagenmakers (2000) – This song x 43 is what many people think the contest consists of. To all of them I say no, it does not, but gosh darn it I enjoy it when there’s the odd one or two. Ik Ben Verliefd by Sieneke (2010) – Ah, the Smurf Song, one we love to hate and hate to love. My thought is that the song has nothing on the hideousness that was Sieneke’s outfit. I think her stylist was under the impression she was in Oslo for a soap opera audition…circa 1983. On Top of the World by Edsilia Rombley (2007). As previously mentioned, the song did nothing for moi, but the staging was rather good. There was nothing too OTT to distract from Edsilia’s luverly vocal, nor was there anything too 3JS yawn-worthy. Linda Wagenmakers. I’m off to see Cirque du Soleil next year, and I’m 99% sure the show will be held inside her dress. The first one, that is – the shredded silver number is otherwise occupied at a disco/bootscooting party somewhere. Both of the above were totally OTT, and totally fabulous. Maggie MacNeal (1974, 1980)/Edsilia Rombley. Here we have two very different singers, Maggie as soft and sweet (most of the time) as Edsilia is deep and growly. Both are equally talented. Okay – to be honest with you, I don’t. During my years as a Eurovision fan they have had a tough time succeeding with their entries, and the reasons haven’t been too hard to find. I do always look forward to their selection, though, in the hope that they’ll do a Germany and pull out an amazing song that can’t possibly fail – at least to reach the final. As with countries like Cyprus and Portugal, it’s always a great moment when the Netherlands do qualify (which as we know, has only happened once. But that moment was great, was it not?) and already I’m hoping to experience that in 2013. Any country can turn things around at any time, right? 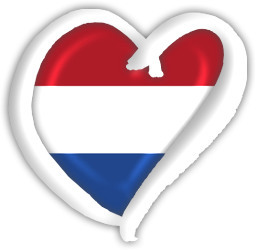 What are your thoughts on the Netherlands in Eurovision?